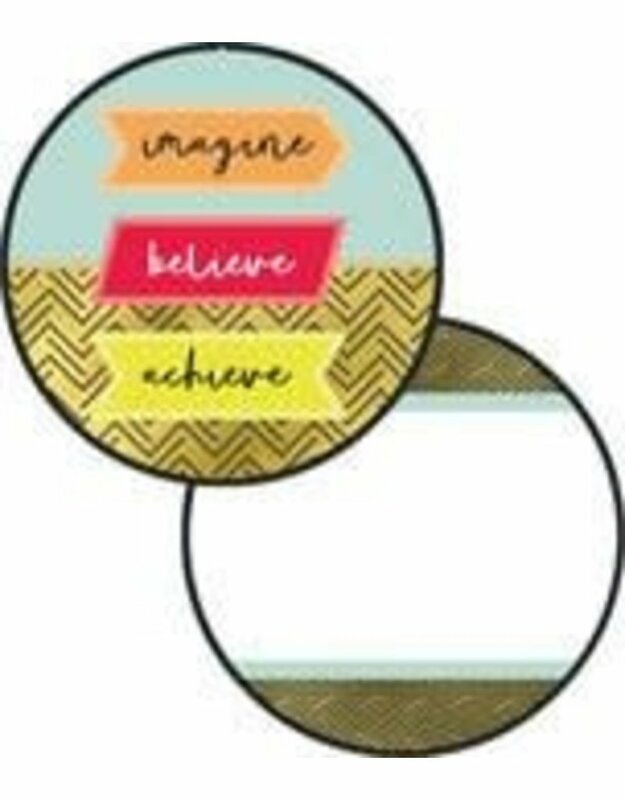 Designed to boost student morale, the Aim High two-sided decoration features the message “imagine, believe, achieve” on the front with a black, gold, and blue pattern and writing space on the back. This classroom decorative measures 15" x 15" and is pre-drilled for easy hanging. --Add style and substance to your classroom with Carson-Dellosa’s two-sided decorations. This accent is ideal for labeling learning centers, adding inspiration to bulletin boards, and giving windows a whimsical touch. To create a cohesive classroom, be sure to check out other Aim High essentials.